Michael Coleman is a Canadian actor, educator, writer, and director known for many contemporary roles. He started his career by performing in comedy shows and working as a voice actor for popular shows like Dragon Ball Z, X-Men, and Hello Kitty. Since then, Michael has starred in roles featured on hit TV Shows like Smallville, Supernatural, and Once Upon a Time. Although his career is primarily focused on acting, he is also involved in various philanthropy efforts and is a notable educator. 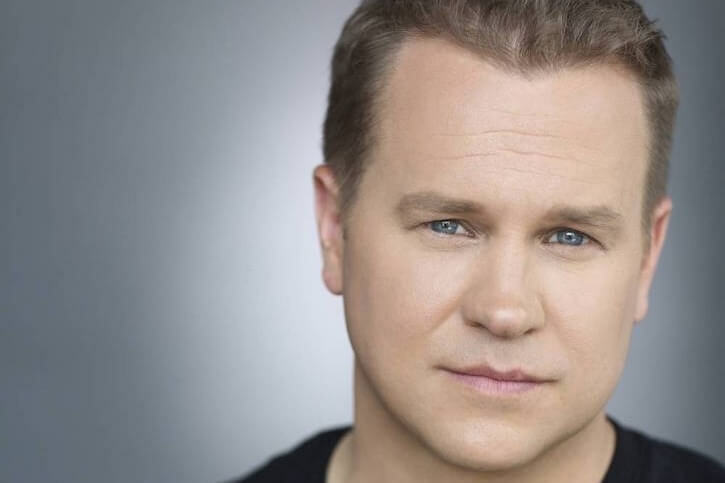 Before moving onto other ventures, Michael Coleman worked at the Vancouver school for over a decade. While there, he taught students the basics of acting, screenplay, writing, and directing. Soon, he plans to open another school where more students will be able to learn from his experience and benefit from his industry connections. When did you discover that you wanted to be an actor? It actually happened relatively early in my life. It was a passion of mine, and I always saw myself in front of numerous TV cameras. Before pursuing an acting career full time, I wrote comedy sketches and performed routines throughout Canada. I met a lot of amazing and talented performers, many of which went on to act. This gig taught me the basics of the industry and further cemented my willingness to be successful in such a competitive market. What made you open an acting school? The lack of platforms that young adults can use to better themselves as actors. Even nowadays, the number of public institutions that help prospective entertainers is very slim. In fact, you have to be incredibly talented to be noticed by anyone with the resources to help you achieve your goals. I wanted to assist people by opening my own school where I can teach them how to navigate the acting industry and be credible behind a camera, based off of my own experiences. I must say, however, although the primary focus was to help others, I also learned a lot from my students. Are there any roles that you are more proud of than the others? No. I am entirely dedicated to every project that I have ever worked on. Whether it was a one-time voice role or a long-term contract TV role does not matter. I do my best to provide the utmost respect to every role and to every crew. Naturally, of course, there are roles which I like more than the others. For example, being Happy on ABC’s Once Upon a Time has proven to be my favorite project thus far. My coworkers were amazing, and I learned a lot from them. Nevertheless, I dedicate the same amount of energy to that role as I did to all the other ones. What do you do outside of acting? I work with a large number of charity organizations including “the Downtown Eastside Women’s Center” and “the BC Children’s Hospital.” In fact, there are over a dozen different projects that I am involved with at the moment which you can keep updated with on my social media. An exciting event I was involved with was the Vancouver Whitecaps Legends & Stars charity even with the BC Children’s Hospital. Vancouver Whitecaps alumni and various actors working in Vancouver came together and played a great match to raise money for such a fantastic charity. I do my best to provide financial aid whenever I can as well as be a part of the movement physically, as I think it is essential to have that face-to-face interaction with others. Meaning, I attend many events that these organizations host to raise funds or attract an audience. Doing so helps me give back to the community that helped me achieve my goals. Also, I work as an acting coach for individuals that want to take their skills to the next level. Since I have a very limited time frame to dedicate to these classes, I hand-pick people that I train and who have experience in the industry. This is mostly because of the time restrictions that make it impossible to host large class groups. Soon, however, I am hoping to open my new acting school where I will be able to teach more people how to build a solid acting career. Since you are also a filmmaker, do you prefer acting or producing movies? I love being involved in a project in any form, but acting is truly my forte. I love being in front of a crowd and challenging myself, which is why I have accepted and written so many roles that are extremely different from one another. That being said, I have written and directed various projects which were very challenging, such as “Best Day Ever” and “Thirty-Seventeen.” In the future, I hope to write and direct more, but I will never stop acting. After all, multitasking is pretty much the norm in this industry! It’s important to be skilled in various different areas so you can always be an asset.